One of the most challenging questions to satisfactorily answer in stuttering treatment and in the community is what causes stuttering? Today on StutterTalk we launch a series featuring a range of perspectives and experiences on this important topic. Our first guest for this series is Dr. Mark Onslow. Dr. Onslow discusses his view that stuttering “appears to be a problem with neural processing of speech involving genetics” (link) and is asked to discuss brain imaging research on the cause of stuttering that is currently being conducted at the University of Sydney. Dr. Onslow is asked how his treatment and research experience may influence how he views causation and much more. Mark Onslow is the Foundation Director of the Australian Stuttering Research Centre (ASRC) at The University of Sydney. From 2004-2008, Dr. Onslow was a Principal Research Fellow of the National Health and Medical Research Council of Australia, being the only speech pathologist to have received this distinction. Dr. Onslow’s accomplishments include authoring over 250 publications related to stuttering. 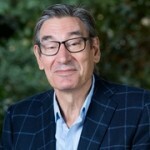 Dr. Onslow is one of the lead developers of the Lidcombe Program, a widely used and researched preschool stuttering treatment (see full bio here). By: stuttertalk Category: What causes stuttering? Tags: Lidcombe, Mark Onslow, Peter Reitzes, stammering, stutter, stuttering, what causes stuttering?